Tokyo keeps a fine balance between tradition and modernity. Never is contrast more pronounced and delicately-blended than in Tokyo’s breathtaking views of historic temples against elegant skyscrapers, high-speed bullet trains, and sophisticatedly-engineered suspension bridges. This metropolitan prefecture truly has everything to cater to all sorts of travelers. Whether you are traveling to shop, to immerse yourself in culture and history, to marvel at modern engineering, or to simply go sightseeing, this alpha + world city is absolutely worth considering. Autumn, which spans from September to November, is considered the best time to travel to Tokyo. This season brings cool and pleasant days, with visions of brilliant blue skies and reddening maple leaves. 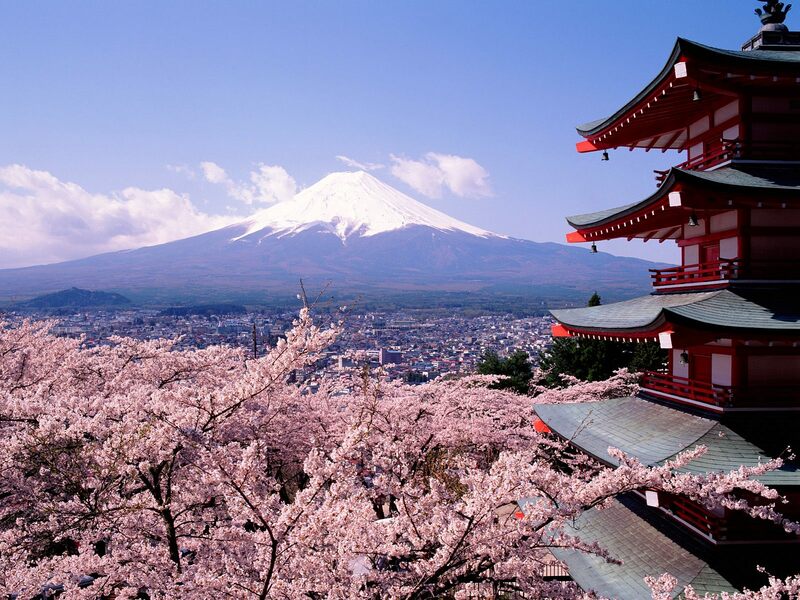 If you wish to visit Japan’s well-known Cherry Blossom festival, then you should try touring Tokyo during springtime, which runs from March to April. Because this season is greeted with cool air and very little rain, you will definitely enjoy the view of Tokyo landscape, enveloped in whitish pink petals. You have a variety of options when going around expansive Tokyo. While taxis are in multitude, the fare is generally expensive (starting at US$7.55 for the first two kilometers), since you will most probably end up stuck in Tokyo’s usual traffic jam. The safest and most efficient way to navigate through Tokyo is through its mass transit systems – its famed trains and subways. Unfortunately, the spider web of routes can be confusing for a first-time traveler. Make sure to have a handy Tokyo Transfer Guide at hand if you decide to take these mass transit routes. To get on board any of Japan’s train or subway systems, you need to purchase a ticket or pass through the system’s vending station. Since lines can get long especially during rush hours, getting a prepaid fare card is recommended. If you wish to navigate through the network of trains, subways and bus lines, your best bet is the Tokyo Free Kippu card, which costs US$16.80 a day. If you want to visit stations not served by the train or railway systems, then make sure to take the bus. Fares are cheap, ranging from US$2.12 to US$2.23 per route. Buses usually serve only two to three stops, and destinations are not always described in detail. Like navigating through Japan’s mass transit maze, it can be confusing to decipher Tokyo’s bus destinations. Ferrying is another option for tourists who wish to visit Odaiba, Harumi, Hinode or Asakusa. If you can, try to ride the modern Himiko ferry, designed by famous artist Leiji Matsumoto. Fare ranges from US$85 to US$128. Because of the city’s small size, many tourists might dismiss walking as a way to get around the city. It is actually a practical choice, since Tokyo is a safe city to walk in, especially at night. You can also rent a bicycle and pedal on the sidewalk, in case there is no bicycle path for you to cross through. Tokyo showcases its charm in the following destinations, each featuring a different aspect of Tokyo. It shows the city from its humble past to its grand technological evolution. 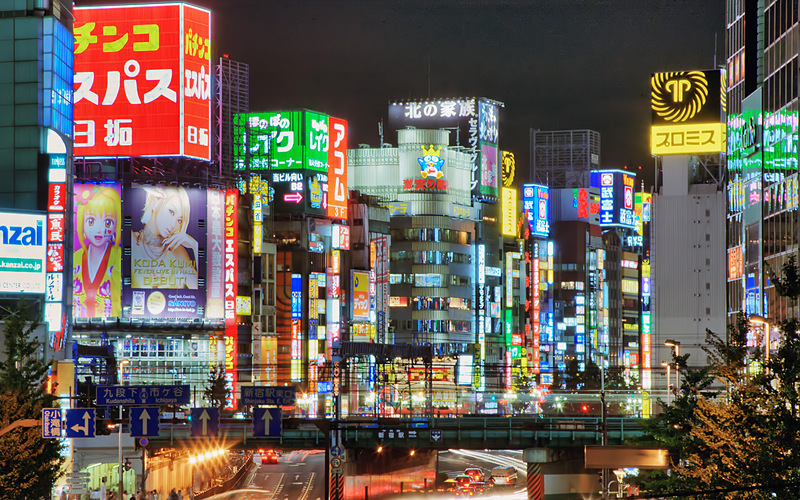 Visit these different travelers’ destinations and learn more about multi-faceted Tokyo. Odaiba, a man-made island, is a popular destination for couples going on a date, for people who wish to admire Tokyo Bay, or both. It is a commercial district for various shopping complexes, restaurants, and entertainment facilities. Japan is popular for its TV stations, and one is found in Odaiba – the Fuji Television Building. A much smaller replica of the Statue of Liberty and a huge Gundam can also be found here. Take the Yurikamome Monorail to Odaiba, which crosses the Rainbow Bridge offering spectacular views of the harbor. Odaiba is a concrete proof of the tenacity and inventiveness of the Japanese people who created this large artificial island out of landfills. Omotesando is a shopper-and-diner’s paradise. Its main avenue is lined with tall, graceful trees that lead to Meiji Jingu Shrine. The word “omotesando” means road that leads to a shrine. Its surrounding area brims with classy boutiques, cafes, restaurants and shops. It has also become the center for luxury brands and high-end architecture. It’s a shame for any shopper traveling in Tokyo not to visit Omotesando. It is where all the world’s fashion brands converge in the city. Shibuya Crossing is a busy street scene near Hachiko Plaza. It throbs of waves of people, vehicles, and lights. It’s probably the most-seen part of the city, having been featured in several movies and videos. One can just go over the famous intersection off Shibuya Station at dusk and take in all the lights and nightlife of Tokyo. Hachiko Plaza is just a few strides away and is a popular waiting place for people in Tokyo. It is an empathetic reminder of a faithful dog named Hachiko, who now has a statue. Back in 1920, Hachiko and his master met at the station every night. The master died but the dog continued to wait until it died more than 10 years later. Hachiko’s statue became an icon to remember faithfulness and a spot for people to wait for friends and loved ones. Shibuya has fine shopping and dining places. Up the narrow street is Sentagai (or Central Gai) which is popular for its clothing and video shops. Learn more about Tokyo’s humble beginnings, from being the lowly town of Edo, to being the vast financial center that it is today. Upon entering the Ryogoku-based museum through its replicated Nihombashi Bridge, you will be treated to the exhibits of Kabuki theaters, shogun property, feudal lord mansions, to name a few. There is a free tour daily running from 10 am to 3 pm. On other times you need to pay anywhere from US$3.20 to US$6.40. 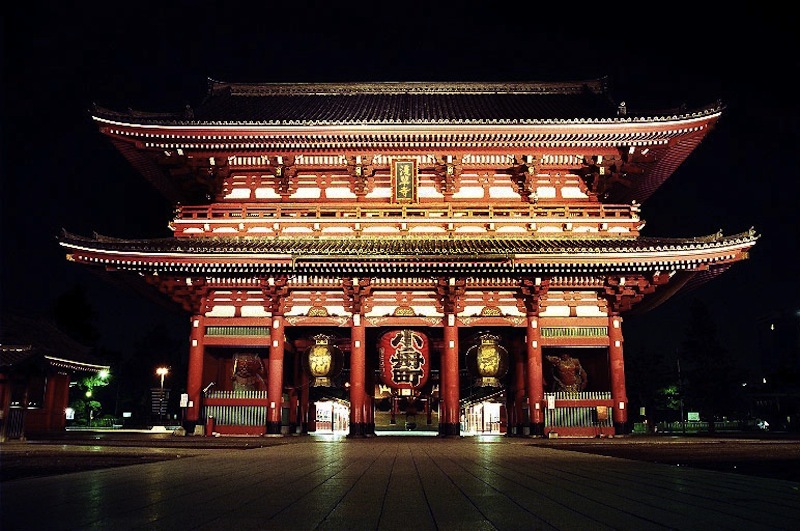 The temple, which also goes by the name of Asakusa Kannon, is the city’s most renowned temple. Located in Taito-Ku, Sensoji was said to be erected in the year 628 AD. The temple was constructed in honor of Kannon, the goddess of mercy and happiness. According to myths, her tiny statue, which was found along Sumida River, is kept in this temple – hidden from the prying eyes of the general public. Admission is free of charge.